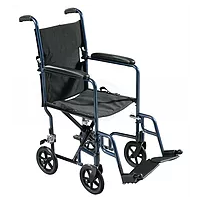 Transport wheelchairs are a light and compact option for appointments or short distance trips where the user of the chair can be pushed by a companion. Manual wheelchairs are all custom and can be ordered in specific sizes. Accessories for manual wheelchairs are also custom and come in a handful of varieties. These chairs do fold into a more compact position for travel if necessary. 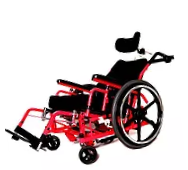 Tilt wheelchairs are also custom and can be ordered in specific sizes. These chairs allow the user to be positioned into place for the purpose of pressure redistribution or to avoid skin breakdown and wounds. Accessories for these chairs come in a handful of varieties and sizes.